Last night saw 45 racers brave the first real cold of the season over at Norfolk Snowsports Centre for the Ski and Boarder X. There is always something special about night time races and this was no exception. The first part of the evening was three individual timed runs through the course and the second half everyone was split into teams for the head to head races. This resulted in some exciting racing and action. 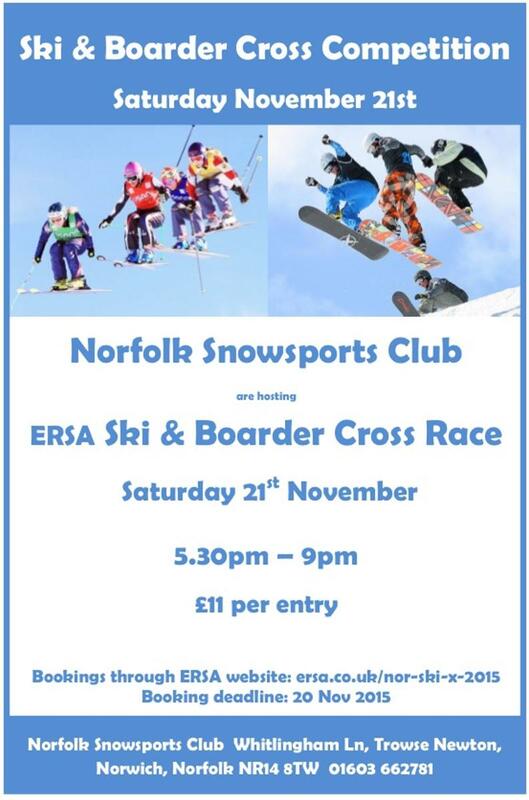 Norfolk and ERSA are hosting a Ski and Boarder X at the Norfolk Snowsports Club on Saturday 21st November from 5.30pm - 10pm. Full Farmers James schedule for the 4th - 6th September attached. The 2015 Farmers Jam takes place at Norfolk Snowsport Centre from the 4th - 6th September, always a good event and plenty happening over the weekend, take a look at the main website http://farmersjam.org/. 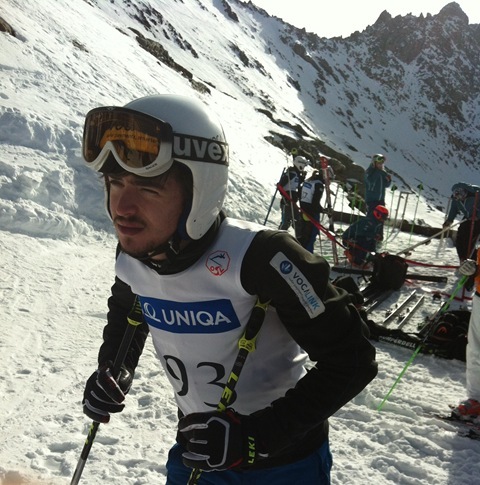 Aerials skier Lloyd Wallace has taken third position and the bronze medal at the Junior Freestyle World Ski Championships. In what was a very tough event, where Lloyd was up against 12 boys doing triple twisting doubles, and two doing quad twist, Lloyd landed two of his best jumps ever, achieving his highest ever combined score of 190.7. The BRITS 2015 kicked off in incredible style as Ed Drake tore through the competition to make three-peat history, whilst Pam Thorburn picked up the women's crown under blue skies at the British Skiercross championships. The 2012 Suffolk Slope Style event takes place at Ipswich on Sunday 26th August. The annual Farmers Jam is taking place over at Norfolk on September 7th – 9th. Congratulations to Max and Claire Wheatman (NOR) and Max and Ross Hammond (BWP) on their selection for the English Ski Cross Dev Squad. Full details of the Freestyle selections can be found here. 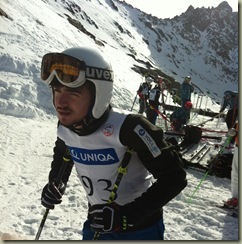 Skilful Skiing 12th – 13th May. This is needed for Moguls & Park / Pipe if you are not L2/BASI. Entry form here. Park & Pipe coaches course 26th – 27th May. If you want to be a Freestyle coach this is for you. Entry form here. Course details can be found here on the UK Snowsports website. Unfortunately the 'Grom Camp' at Norwich on the 3rd December has had to be cancelled. Last weekend saw the Farmers Jam taking place over at Norfolk, read about it here.